Mark Grice with Duane Ward - former Blue Jays' World Series winning pitcher! Painted at a fund raising event in 3.5 hours! Mark Grice with Amber Marshall - Star of CBC's HEARTLAND. 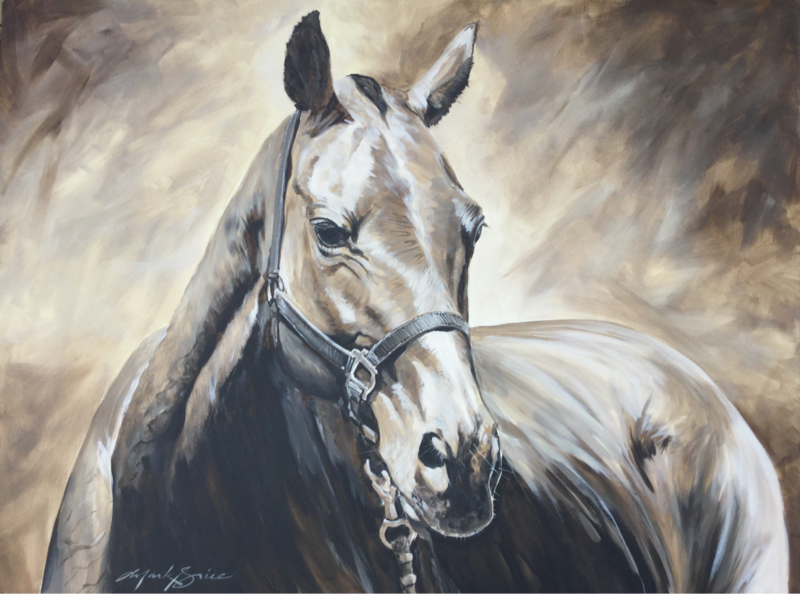 Painting of Amber and her horse done at Can-Am Equine Expo. Golfers got to see the painting in progress as they played by. Do you have a fundraising event that needs a new, innovative and profitable element? Here is how is works. 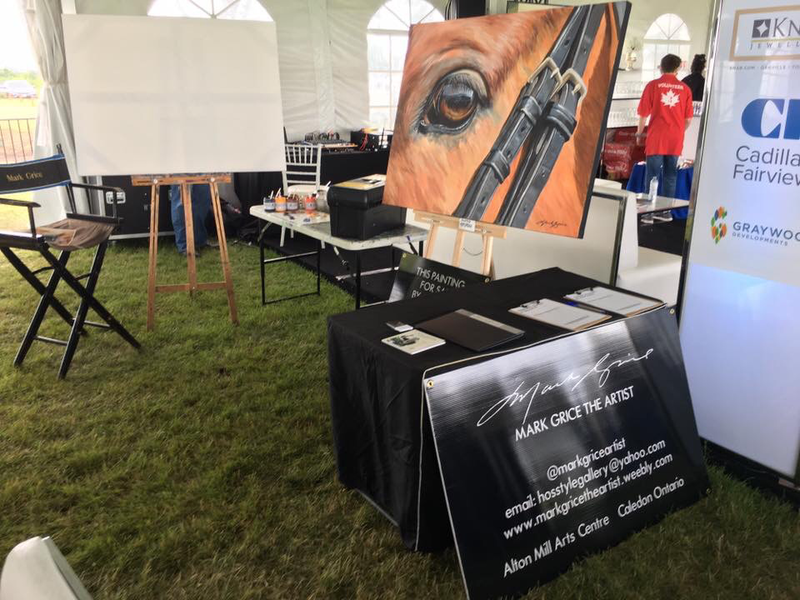 Mark Grice comes to your event with a blank canvas. 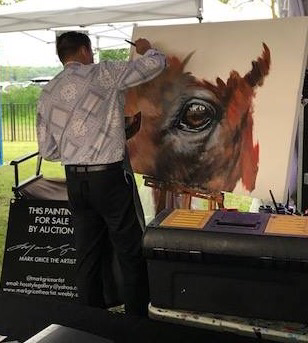 During the event, in 2 - 4 hours, Mark creates a complete work of art and a silent or live auction is held for your guests to bid on the artwork. Indoors or outdoors, local landscape scene, portrait, theme poster - anything! Great for Golf Tournament Charity Fundraisers! Mark positions himself with his easel out on the golf course in a scenic location next to a tee area. Every golfer passes by during the course of the day and sees Mark at work on the painting. 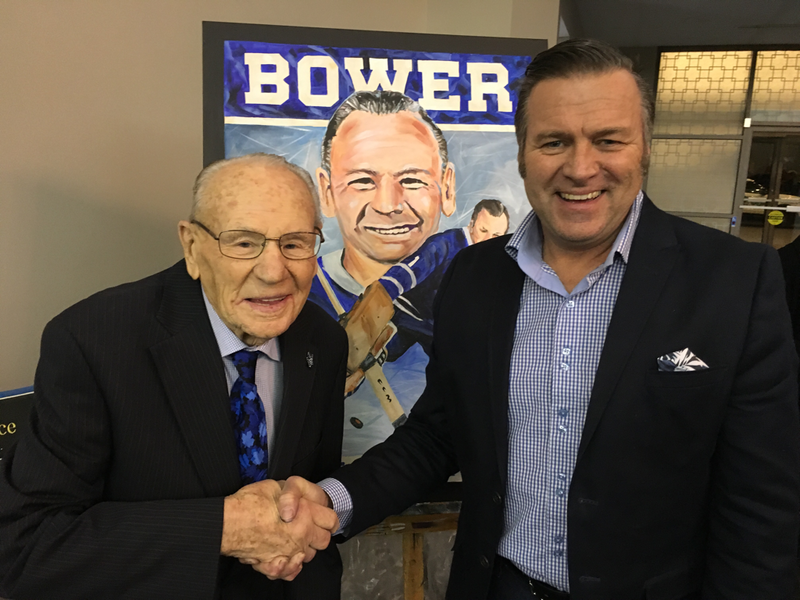 At the end of the day, the painting is framed and displayed and auctioned . There is no upfront cost to the organization. Proceeds from the auction are split 50/50 between the artist and the charity. Mark requires approximately 6' x 8' of space and doesn't spill a drop of paint! 30"x40" painted in 2.5 hours at Toronto City Hall for a "sustainability " event. 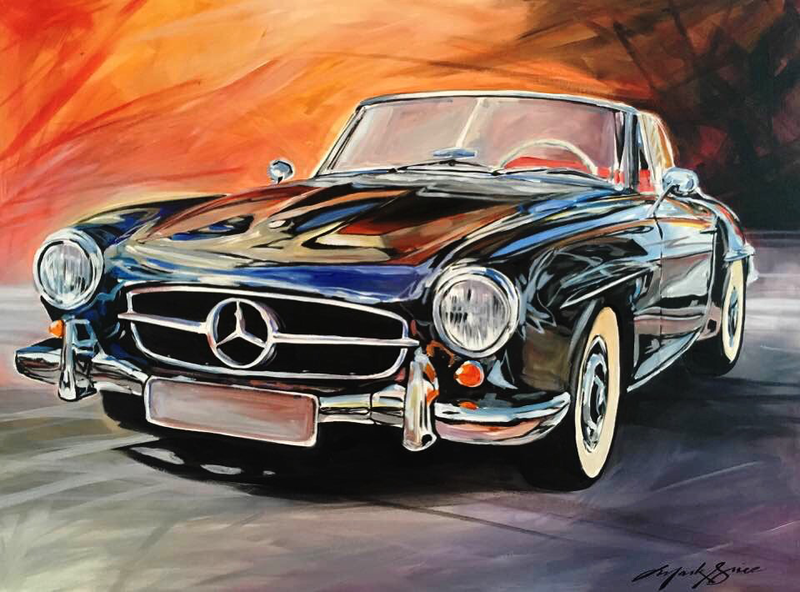 30" x 40" painted at a fundraising event at Jackson Triggs Winery. niagara On The Lake. 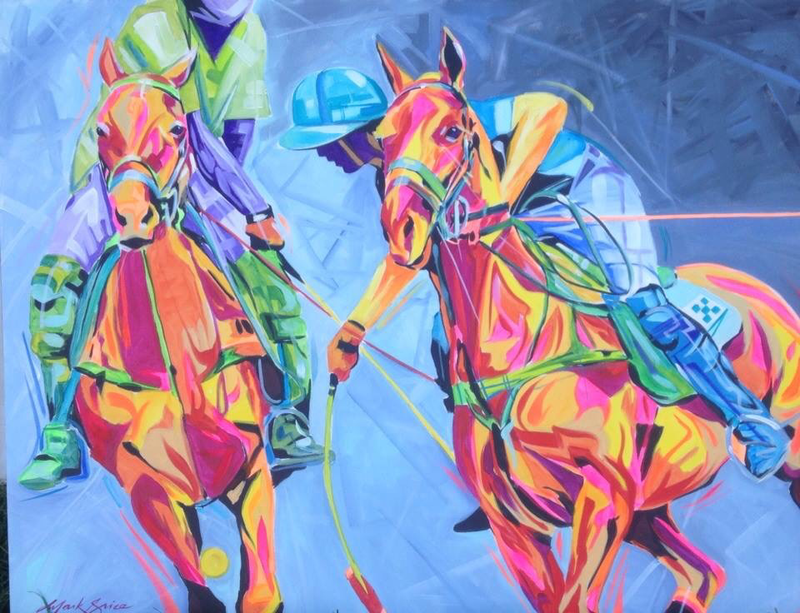 Painted on Day 3 at Polo for Heart. Sold for $1000. 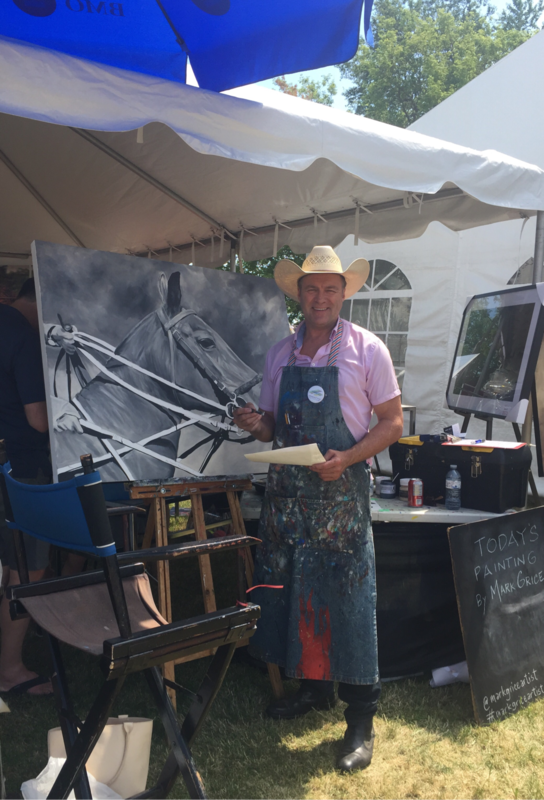 Painted on Day 2 at Polo For Heart. Sold for $950. Painted Day 1 at Polo For Heart. Sold for $1100. All set up to paint at a charity golf tournament in a location where all the golfers will pass by twice during their round. 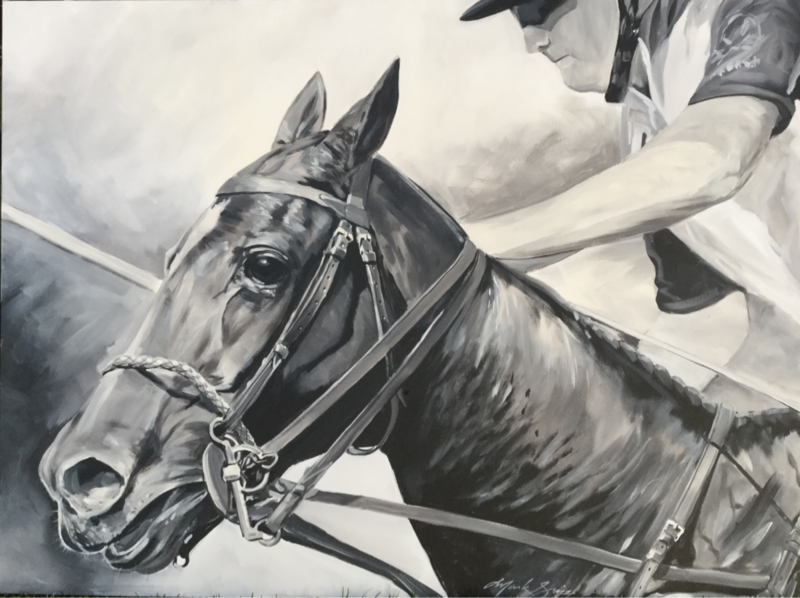 Painting at Pheasant Run Golf Club sold at auction for $1000. during dinner after the game. 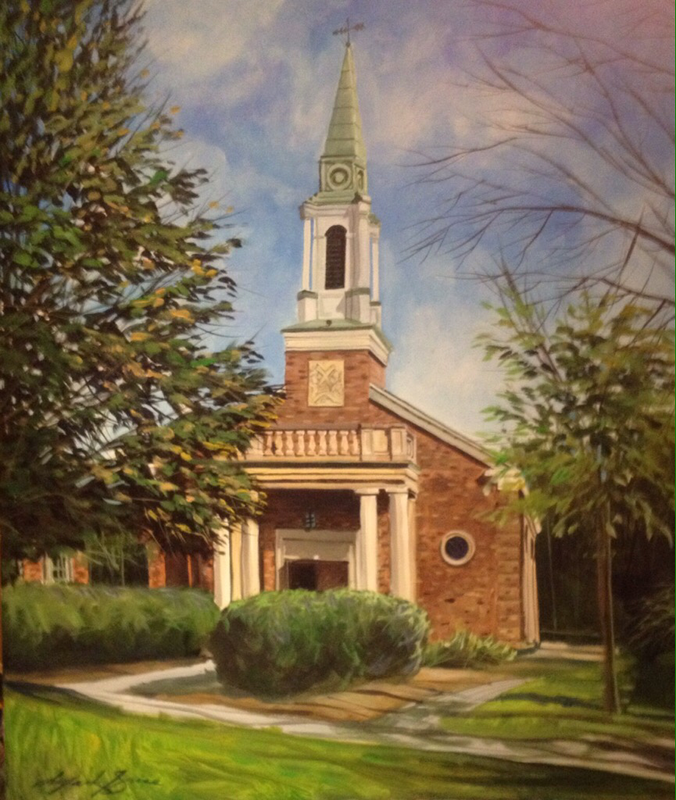 Headwaters Hospital Gala - 4' x 3' painting sold for $2000. Caledon Ski Club fund raiser. 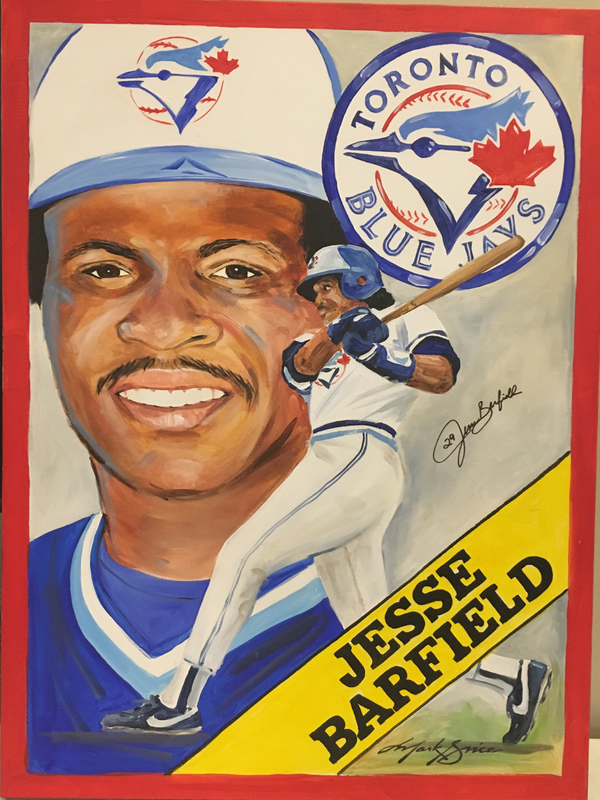 Sold by silent auction for $2500. 3' x 4' painted in 3 1/2 hours before a large crowd. 3 x 4' painting at Alpine Ski Club in Collingwood. Ladies Day. Sold by silent auction for $1300. 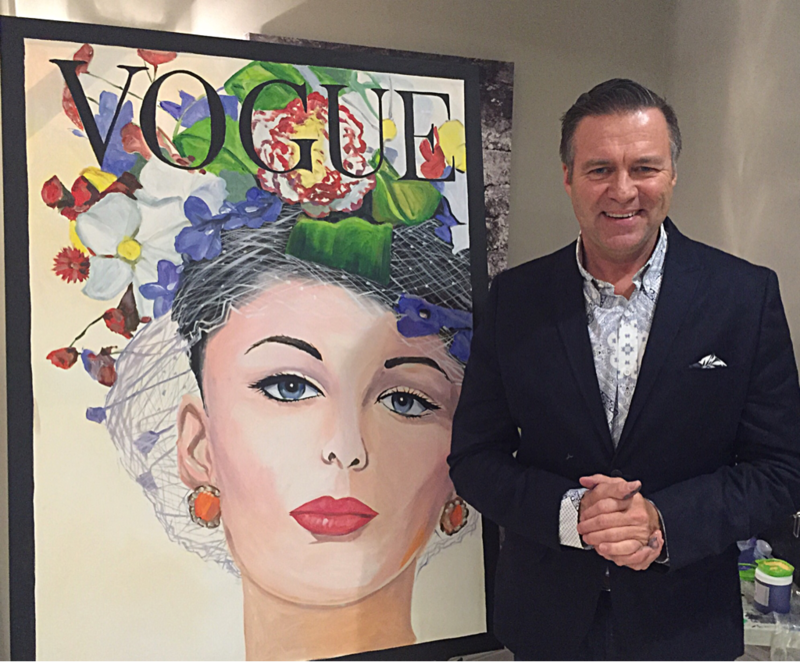 3' x 4' Roman Holiday movie poster at a "Hollywood Gala" in Woodbridge for the Moving Forward Foundation completed in 3 hours. 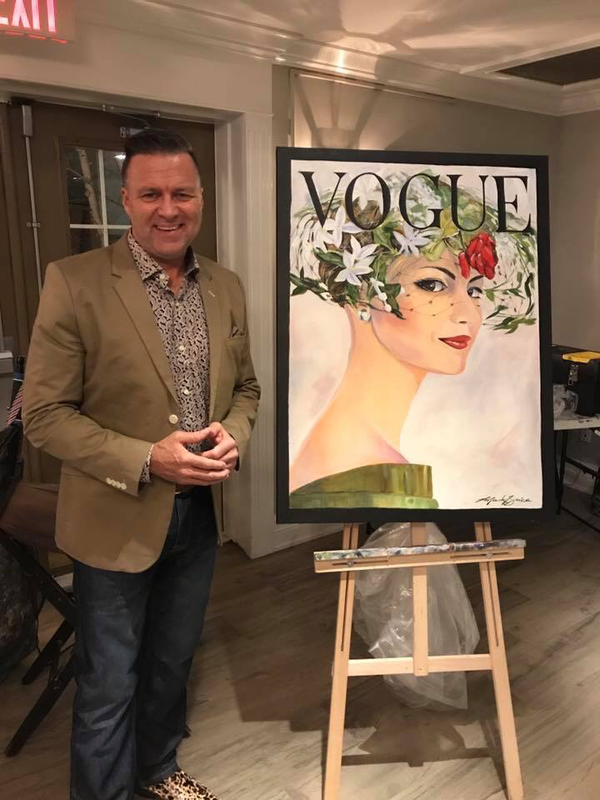 3 x 4' painting at Hockley Valley Resort Spring Fashion show. Painted in 3 hours. Proceeds to Family Transition Place. Sold for $2100. 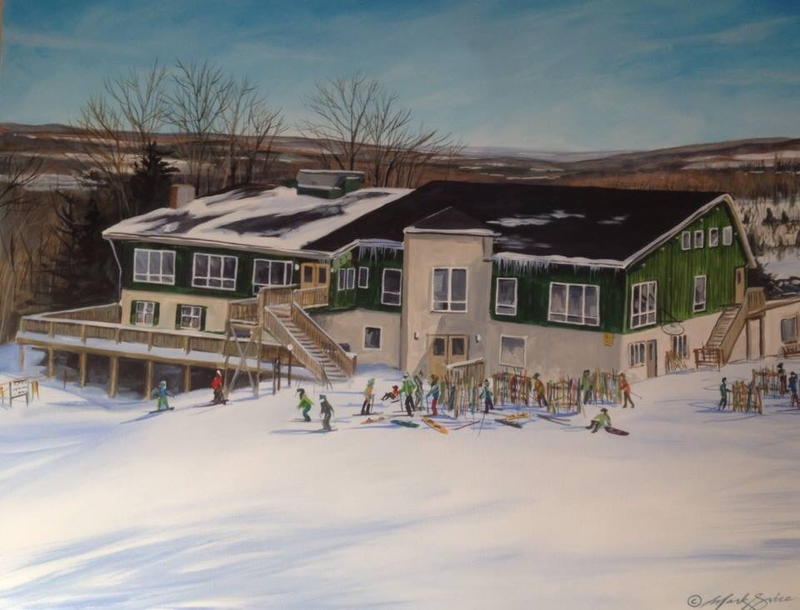 3' x 4' painting completed at Mansfield Ski Club in 5 hours sold by auction for $3500. 3' x 4' painted at Craigleith Ski Club - sold for $1250. 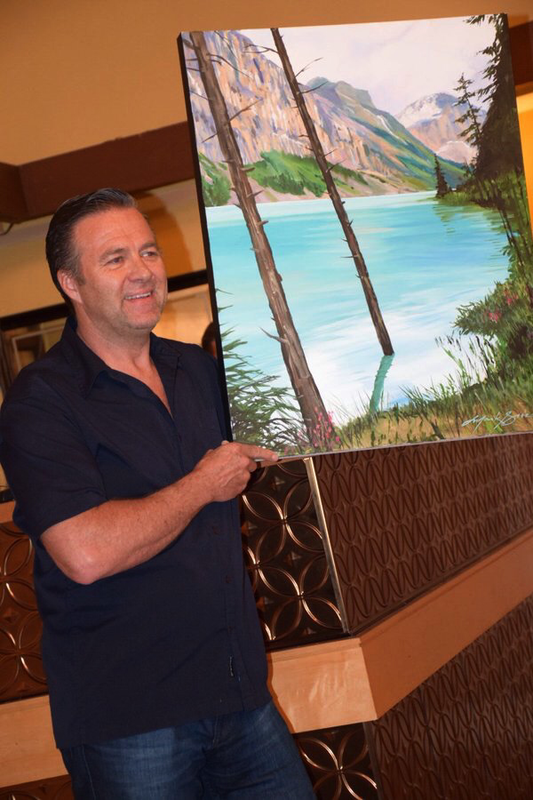 3' x 4' painted at Alpine Ski Club sold for $1100. 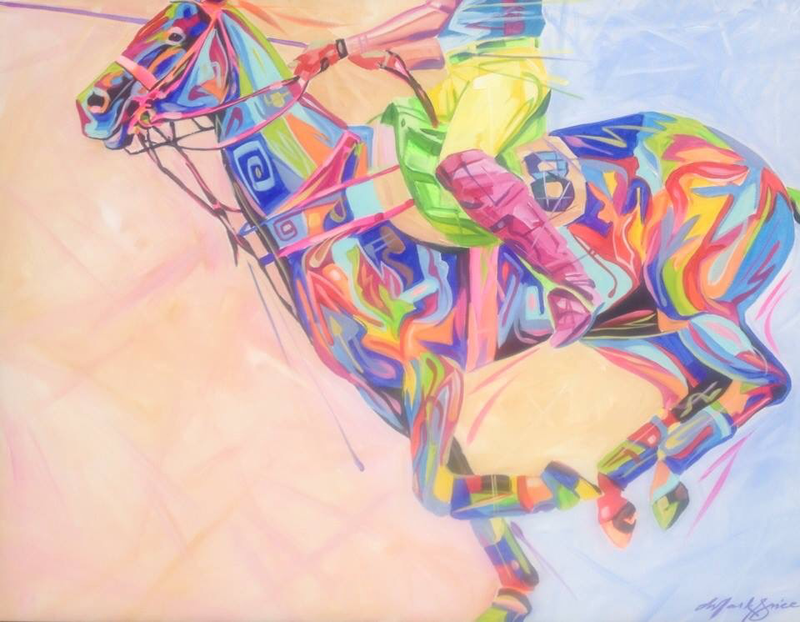 30" x 60" painted at Alpine Ski Club Ladies Day sold for $1100. 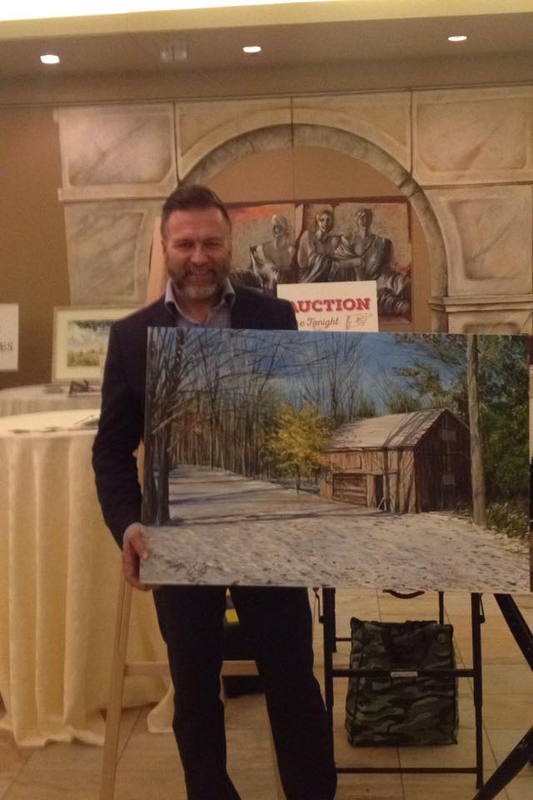 3' x 4' painted at Caledon Ski Club sold by auction for $1000. 3 x 4' painting at the Peel Art Museum and Archives. Social Event. Painted in 2.5 hours. 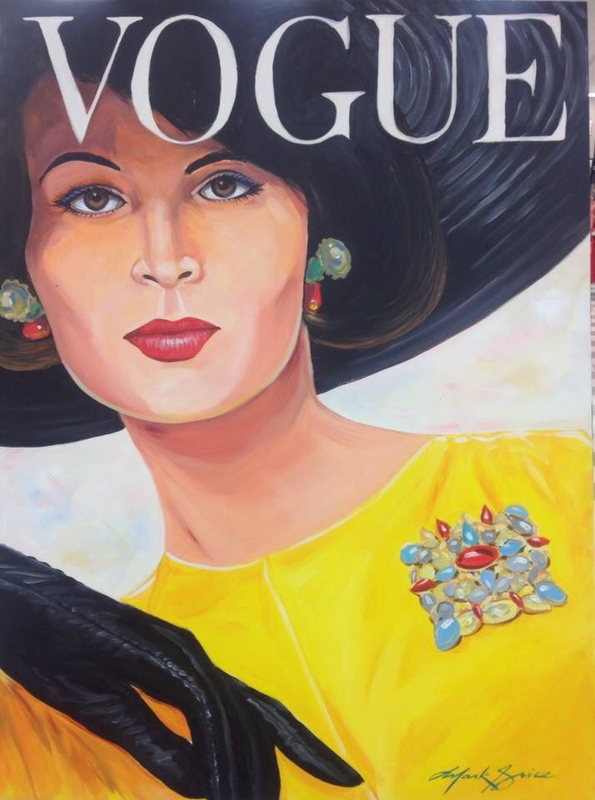 3 x 4' painting at the Mentor College Fashion Show. Proceeds to Cystic Fibrosis. Sold for $1550. 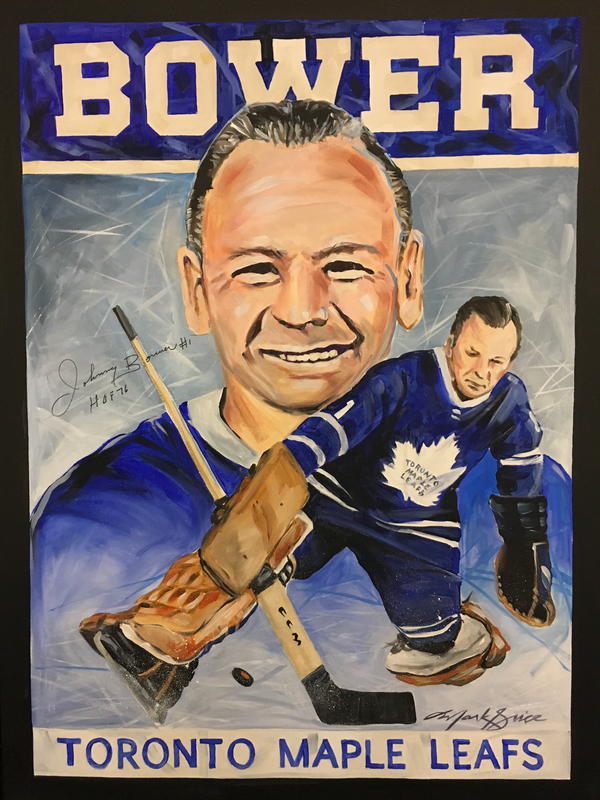 3' x 4' tribute painting of NHL hockey legend Marcel Dionne. At a Hockey Draft Pool fundraiser. Signed by Marcel Dionne. 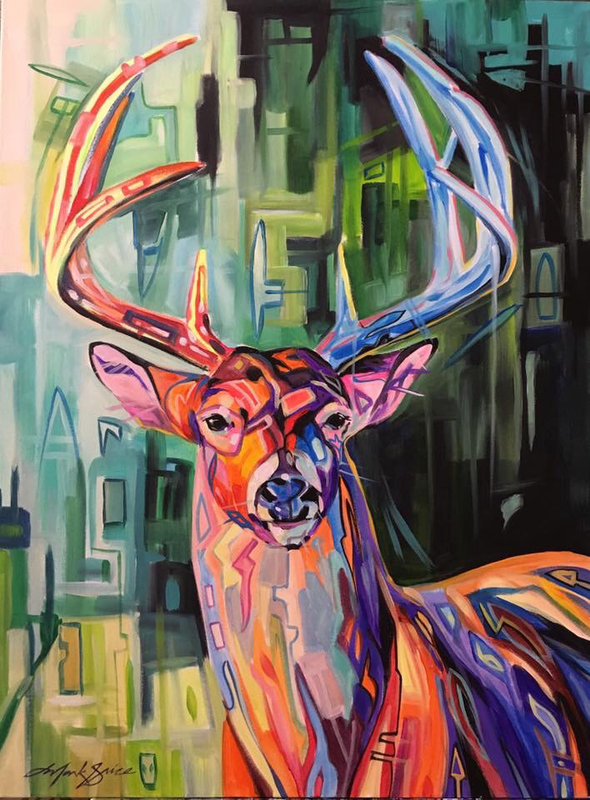 3' x 4' painting for the Eglinton and Caledon Hunt completed in 3.5 hours at the Caledon Golf and Country Club. 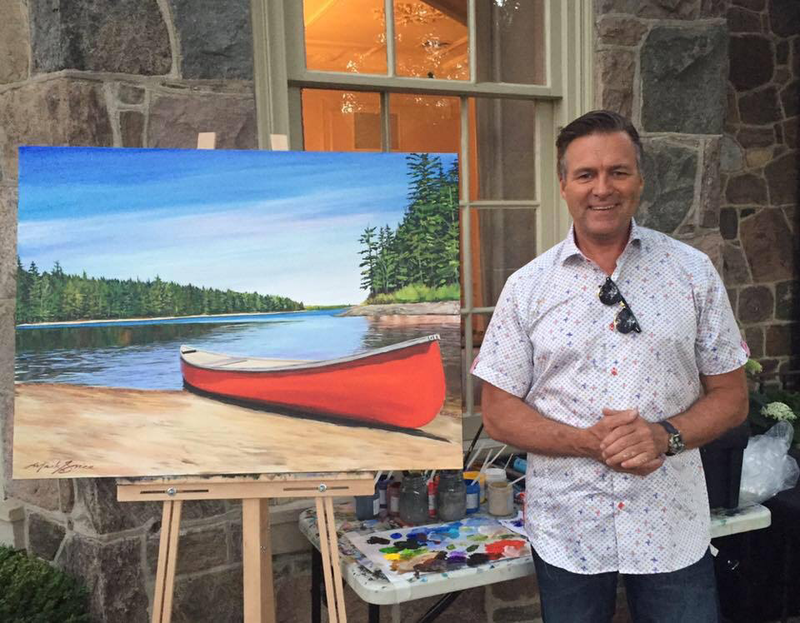 24" x 30" painting at Lionhead Golf Club Charity Tournament. Sold by auction for $1000. Painting in progress at Pheasant Run Golf Club. Sold by auction for $1000. Completed 24" x 48" painting in 2.5 hours while on the deck of a sailboat! Sold for $700. Painting in progress at Copper Creek Golf Club in Kleinburg. 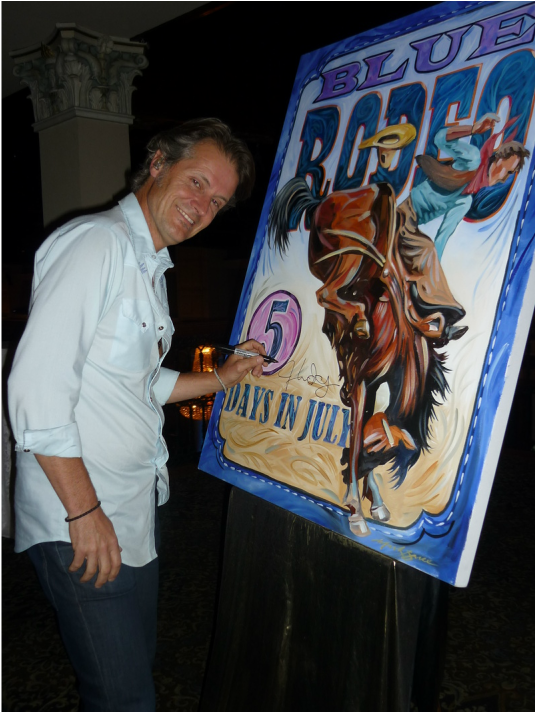 Jim Cuddy autographing the poster painted by Mark Grice in 3 hours at an event for Sick Kids Hospital. Sold for $1900. St George's Golf and Country Club. 13th Annual Curling Classic for Spinal Injury Association of Ontario.